A product of the Australian Institute of Sport, Curtis first played professionally with A-League team Melbourne Heart, making 25 appearances before being signed to a professional deal with English Premier League side Newcastle United. During his first season, he was loaned out to Bradford City, where he won an English League Cup runners-up medal. In January of 2014, Curtis was signed on a six month loan deal by United. He slotted straight into the first team turning in a number of good performances and while at the Club he was handed his first International cap by Australia. Injury sidelined Curtis in that game, however, and that brought an end to his season. Curtis was born on this date in Melbourne, Australia. After a disappointing start to the year, United were looking to get back to their pre-Christmas form in this match at home to Kilmarnock. With over 20 minutes played United had a golden opportunity to take the lead. Ryan Dow took control of the ball on the edge of the area. As he looked to make inroads on the goal he was blocked and tripped to the ground. Referee Euan Norris pointed to the spot much to the consternation of the home side as they believed the foul to have occurred outwith the box. Nadir Ciftci stepped up to take the penalty but his effort was too easy for Ben Williams to smother on the line. Ciftci would make amends for his penalty miss 20 minutes later. 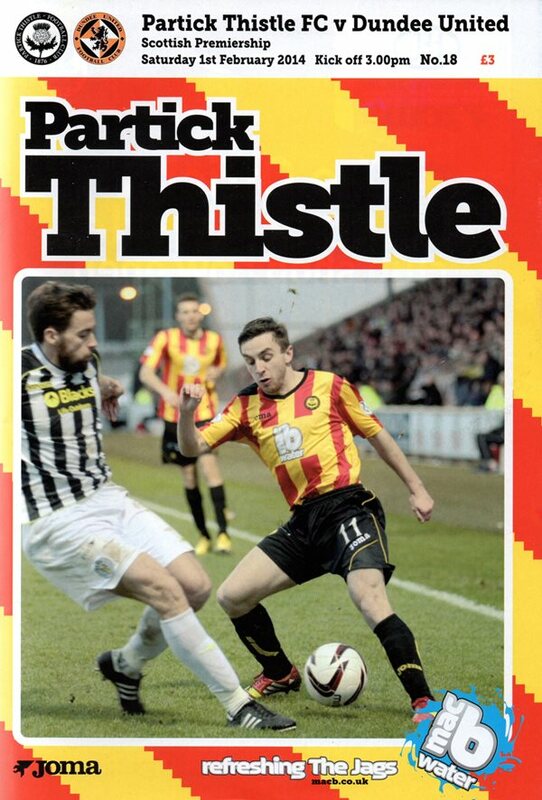 A fine Paul Paton ball allowed Ciftci to race for the ball with Paul Hanlon. The power and speed of Ciftci was too much for Hanlon who was left flailing in his wake. Nadir Çiftçi then cut into the box and outfoxed both Michael Nelson and the Hibs keeper to put the Tangerines into the lead. The lead would only last for three minutes. As Hibs pushed for an equaliser they won a corner out on the right hand side. The ball was flighted into the six-yard box and Radoslaw Cierzniak elected to punch the ball to safety. Unfortunately, his clearance came off the head of Jordon Forster and bounced into the back of the net which gave Hibs the equaliser they sought.